Sinus infection shows the inflamed conditions cavities around the nasal passages, mostly it occurs due to some allergic or dust reactions, but in some cases, it also occurs at the end of flu treatments. There are several homemade and homeopathic remedies for a complete and instant cure of both acute and chronic sinus infections. In acute cases, sinus pain is much worse and it spread to the eyes, in the root of nose, ears and jaws. In chronic cases, it returns to eating spicy foods, mental work, reading, etc. In the case of sinus infection, one should use kefir kombucha and cultured veggies until the end of infection. Ginger tea helps with congestion when your chest will feel a bit tight; a cup of ginger tea gives relief pretty quickly. Fresh orange juice got a lot of vitamin C and it has very powerful effects on blocked nasals and reduces inflammation. Grind the ginger every day in your juicer with a honey or other drinks because it helps you when the trees are blooming and pollen is everywhere. You have to avoid eating junk foods, baked items, dairy products or you can't do the things you need to during a sinusitis attack. Yourself- treatment with home remedies will cost less than just the visit to the doctor would cost, let alone the drugs and antibiotics they would prescribe. There are some useful homeopathic and herbal medicines for a sinus headache, these are free of any side effect, but for a better treatment, it is advisable to consult your local homeopath. Urtica Urens: It is also called nettle plant, in various countries people drink nettle tea in case of sinus infection, and it helps in releasing mucus from sinuses and opens the blocked nose. In homeopathy, you could use its mother tincture or potency according to the patient condition. Sanguinaria Canadensis: Headache starts with the rising of the sun and slowly vanished at the time of sunset, patient cannot tolerate to strong odors. Echinacea: Echinacea tea is also a world famous traditional remedy for killing bacteria and increasing immunity, actually it’s a blood cleanser but it works great in acute viral infections, including sinus, urinary tract infections, ear infections, etc. In homeopathy using Echinacea tincture in warm water gives an excellent result in acute sinusitis but in chronic conditions, Echinacea must be used in potency form. Armoracia sativa: It is also called Horseradish or Cochlearia Armoracia is a great home remedy used for centuries for frontal sinus, it is a useful remedy for acute and blocked sinusitis. For an instant relief, you can take horseradish steam twice or thrice a day. Spigelia: Pain stayed over the left eye and worsens by a minor moment of a head. Kali Bichrome: When a person is unable to discharge mucus through the nose and ropy discharge dropping back into the throat, it’s time to take Kali Bichrome 200. Sticta Pulmonaria: Lung Wort is a sensitive herb used for lungs and sinus infection cleansing in Mexico and North America, its homeopathic mother tincture and low potencies are very useful when a parson is yelling like “sinus pain is killing me”. Lung Wort symptoms always occur with a great weakness and pain mostly starts from behind the bridge of the nose. 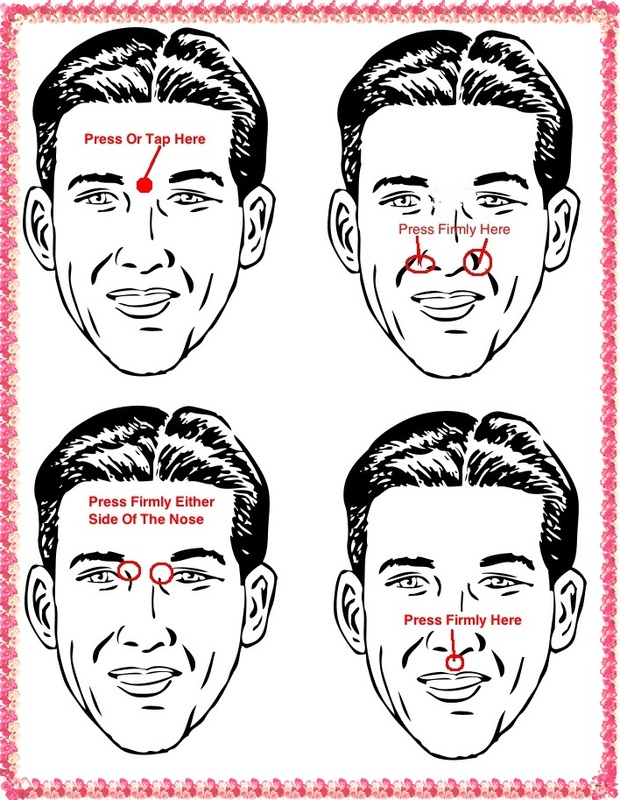 Belladonna: Belladonna is best when a face is red and there is a pulsating headache, the patient got a temporary relief by binding head tightly. Cina: If there is a constant aching in the nose, it’s time to try Cina in low potencies. Cochlearia Armoracia: Another common name of Cochlearia Armoracia, Armoracia Sativa, and Horseradish, it is a great antiviral and antibacterial herb, in herbal treatment people use it for a steam in case of blocked nose. In homeopathic practice mostly its tincture is used to cure sinus infections with a sore throat. Pulsatilla: Best suited to thirstless and flabby people with greenish discharge. Patient of Pulsatilla is always craving for fresh cool air. There could be TMJ problems associated with nasal points as well with running pains. Kali Iodatum: Best remedy when there are symptoms of watery and acrid discharges, the patient got a great irritation all the time during sinus pain. Merc Sol: Both yellowish and greenish discharges are noticed in this remedy, every discharge brings and acidic and burning sensation in nasal congestion. There could be an increased salivation and offensive mouth odor in such cases. Sambucus Nigra: It’s another name is Elderberry and its syrup is commonly using in Mexico and Latin America for curing nasal allergies, in sinus it continuous the sinus drainage. In homeopathy, a sinus infection with dry coryza and congestion and achiness in paranasal sinuses is calling for Sambucus Nigra. An improper treatment of an acute sinus infection could lead a fungal growth in nasal sinus; it is diagnosed by a CT scan test. This fungus could spread to head and ear as well, homeopathic remedies Thuja, Silicea, Sticta, Agaricus, and Pulsatilla Nigra are used in such fungus cases.